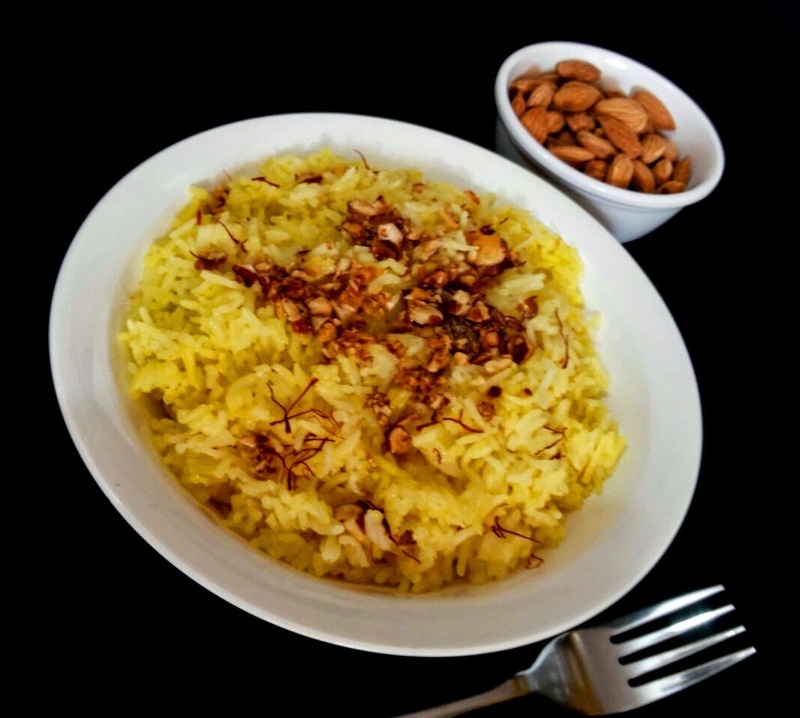 This is a celebratory dish,often made on festival of Basant Panchmi in India. Popular in all parts of Northern India,it is easy to make and delicious to taste.This dish is so simple that you will love making it on all occassions be it pooja,birthdays or festivals.Like all my recipes,this too is suitable for all working ladies and new cooks. So what are we waiting for.... lets enjoy this traditional recipe! Add saffron to milk in a small dish and let it stand for 10 minutes. Take a pan.Add ghee ,now roast almonds till golden brown and keep aside. Clean ,wash and soak rice for 10 minutes.Drain and keep aside. Take a heavy bottomed pan,add ghee to it.Add rice and roast it for 3 to 4 minutes on medium flame. Now add boiling water and saffron to the pan.Cover it and let it cook till rice is 80% cooked.Keep stirring so that rice doesnt stick to bottom. Now add sugar and cardamom powder and cook till rice is ready.Donot overcook. 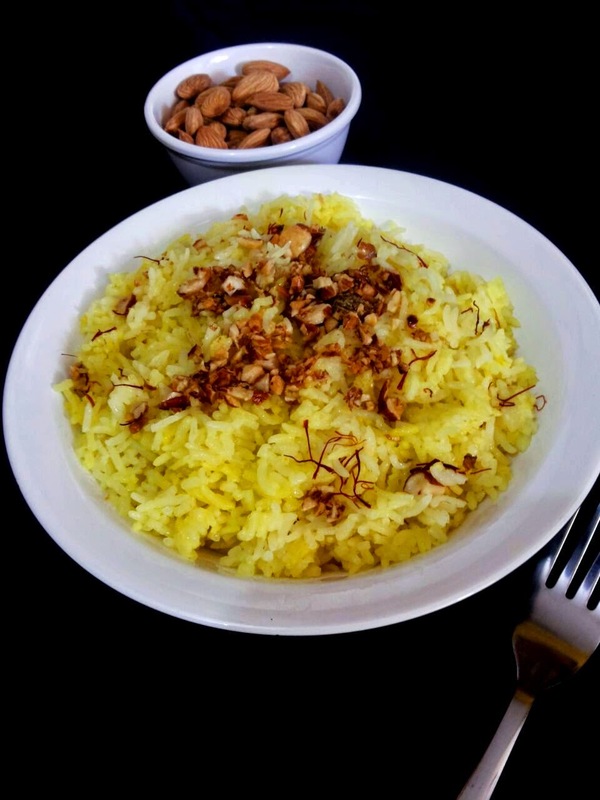 Garnish with roasted almonds and serve hot.